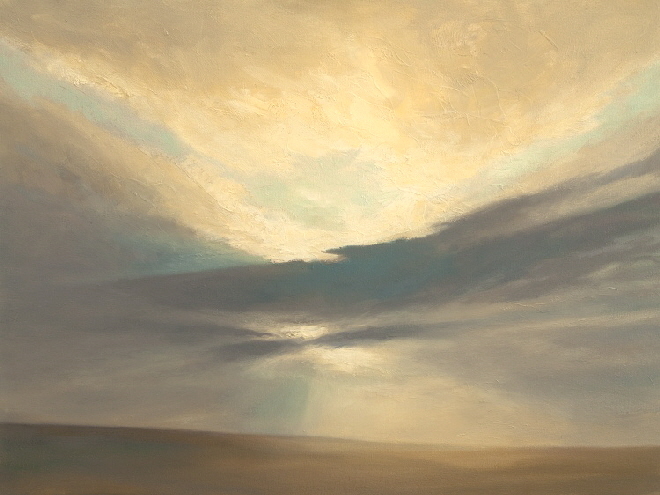 I wanted to call this painting “My soul stands besides me on the moor” or “Our soul stands with us in this place” or Our souls stand beside us on the moor”. Och, something to do with souls and moors anyway! I settled on “September” because I couldn’t decide, but maybe I will find adequate words to express the way that we seem to have the ability in rare moments to expand our own being to become aware of our true self standing beside us in response to certain landscapes and skies. I’ve since found this (above) written by Ayn Rand. September arrived before 9am today, safe in her cosy packaging. We both love her. Thank you so much. 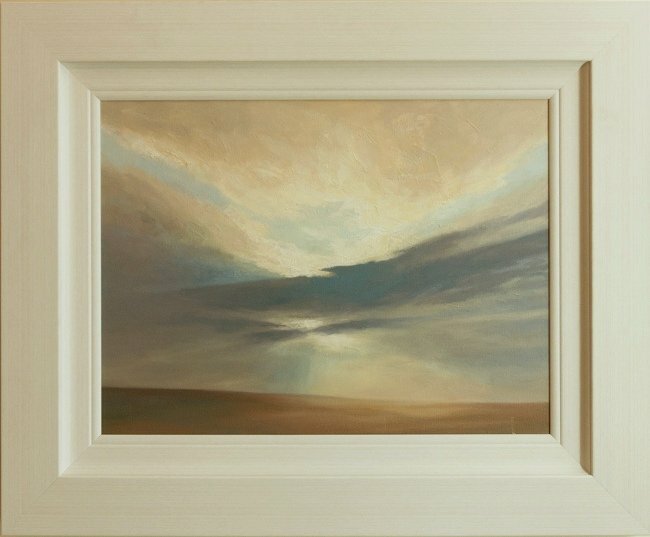 I don’t supply frames with the work unfortunately but I was well pleased with it in this frame so I couldn’t resist showing it here - Frame not included ! !